Larry Wilson is a San Francisco Bay Area painter who previously served as a color and design consultant for US Army and Air Force facilities. For over thirty years he taught art to young people, and he was himself a student of the distinguished watercolorist Jade Fon. 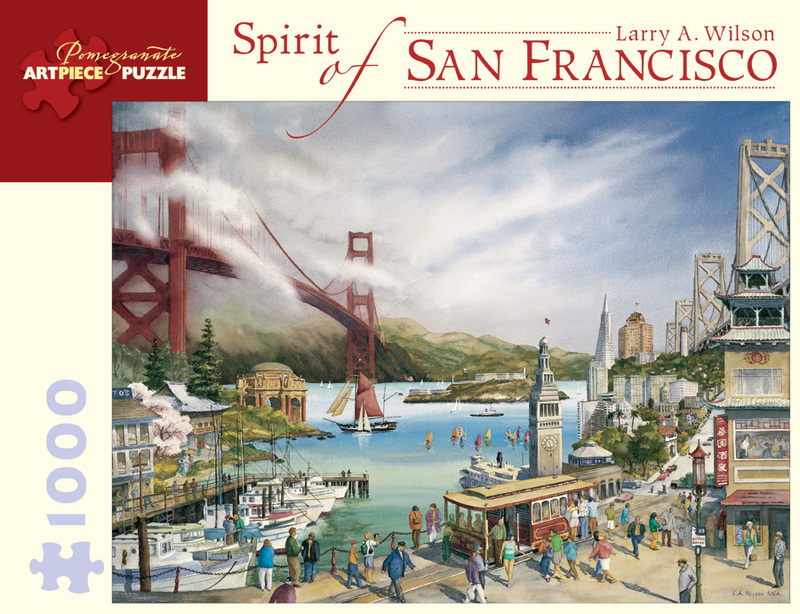 In Spirit of San Francisco Wilson juxtaposed dozens of the city’s famous sights, from a hushed pagoda to a pier echoing with the cries of gulls and sea lions, with a wreath of fog snaking in from the Pacific.